Now that my Italian holiday is a month away, I'm beginning to think about all the essentials that I will need to bring with me. I always find that the hardest thing to decided on is what to bring as my carry on luggage. This is always the most important thing for me because I have had my checked luggage delayed way too many times to risk not having the essentials on board with me. This means makeup, toiletries, camera & electronics, and enough clothes to last me a couple of days. I also really like the idea as a backpack for my everyday bag during the trip as it would be nice to be hands-free the entire time. What about you? 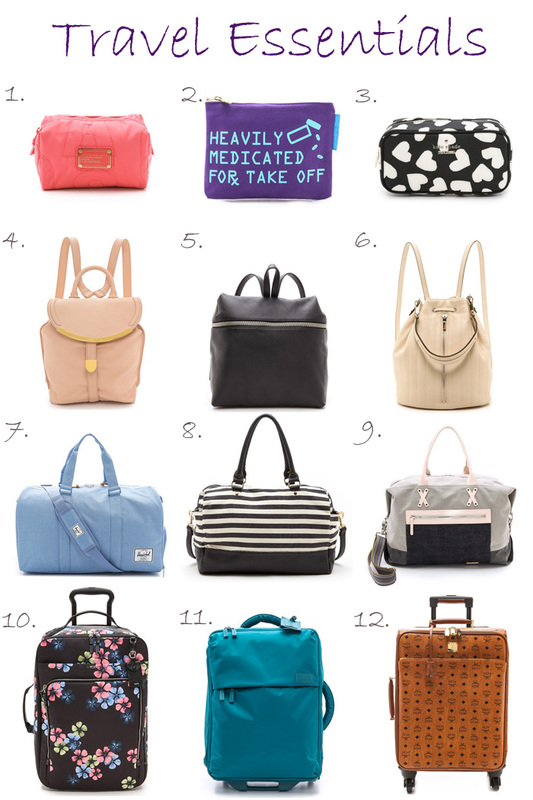 Do you have any good tips for what to bring as carry-on luggage? I would love to hear them if you do!